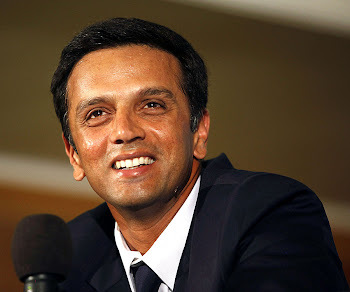 Rahul Dravid: Is Ganguly the new Dravid or Dravid the new Ganguly? Is Ganguly the new Dravid or Dravid the new Ganguly? Rahul Dravid reaches 200 against England on Day Four, a single-handed contribution to help India save the match and series after Michael Vaughan’s 195 helps his side score a mammoth 515.August 10, 2007 at The Oval: India are tottering at 3/11, Rahul Dravid at the crease takes 60 balls to score three runs when Sourav Ganguly walks out to play an astonishingly beautiful knock of 57. India begin to score and eventually set a target of 500 for England. Game drawn, series won. BACK in 2002, Dravid’s dream run triggered India’s most remarkable streak with Ganguly at the helm. Riding on the away high, Ganguly’s men drew the series in Australia and defeated Pakistan. Post England, Dravid too faces the same rivals in Tests — Pakistan at home and Australia away, and that brings up the question: Can he match up to Ganguly’s record? Or like in England, will he break new grounds?Despite all the expected — though unsubstantiated — tales of intrigue that inevitably crop up when past and present captains are in the same team, scoreboards suggest the two share a symbiotic relationship. If Dravid was the Fab-est of the Four during the England tour in 2002, Ganguly gets the same honour in 2007. And the irony is hard to miss as one realises that the present captain’s vital navigator on the tough journey ahead has to be the former captain.While the depleted Pakistan team at home under a new coach would provide a preliminary test for Dravid & Co, it is the end of the year tour to Australia that happens to be on top of Dravid’s mind. “Australia provides a platform where every international cricketer wants to stamp his impression. We did well the last time around and I am looking forward to it once again,” says Dravid.Barring the age factor, now that the seniors are five years older, the 2002 tour party to Australia is quite similar to 2007 (Then and Now, right). The last time India toured Australia; Ganguly, along with Dravid, Tendulkar and Laxman formed the core of Indian batting. For Dravid, the likes of Tendulkar and Laxman are still around, though they average 41 and 33, respectively, in Tests as compared to the enormous figures of 53 and 42 they could boast of five years back. Ganguly’s return to the Indian team after a one-year struggle puts him in the bracket of being India’s most confident performer at the moment. And he happens to be the mightiest performer in the middle-order during the England Test series — second after opener Dinesh Kaarthick for the England tour.But most importantly, it is his serene mental state that makes the post-comeback Ganguly different. The disarming smile on being given out lbw after edging the ball at The Oval after yet another 50-plus score showed that it was time Prince Snooty needed a name change. Among the new names being proposed are Mr Cool and Mr Consistent. Times have certainly changed.Ask Ganguly about the turnaround and he tries his hand at modesty — another new-found trait. “Nothing special, I was getting to time the ball well, so it was kind of enjoyable. Yes, it’s nice that it came at a time when the side needed it,” he says. But press more and he opens up. “I have always liked England, the sense of comfort it provides. To add to that, travelling is easy. You feel nice here and it’s easier to concentrate just on your game. As far as scoring runs are concerned, I’m happy the way it’s gone,” he adds.But it is the mention of Australia that excites him. “Australia would definitely be a good place to go and give your best. It challenges you and this victory will also boost the team’s morale,” he says.Though there happen to be quite a few similarities between the Dravid and Ganguly eras, the big difference has been the performance at the World Cup. But with the 1-0 series win after 21 years in England — Ganguly drew 1-1 — Dravid has made amends and is now on the road to recovery. “I’m sure we’ve given something (the England win) to people back home, especially after a poor stint at the World Cup. There was a lot of expectation from this team and we’re happy to have delivered,” says Dravid.Given the victory over England, the Indian captain doesn’t just need to rely on words. Performances have been equally good — India totalling close to 2000 runs in six innings, breaking several records at The Oval and out of form players finding their lost touch.With Ganguly among those on second wind, Dravid is just getting back what he gave to his former skipper. In case Ganguly matches up to Dravid’s batting heroics in Australia, they might even start calling him The Wall. After drawing the 2002 series in England, India followed it up by holding Australia and beating Pakistan. Post-England, Rahul Dravid too faces the same rivals. Comparing the present bunch to the Class of 2003-04In 2003-04Rahul Dravid, VVS Laxman, Sachin Tendulkar, Virender Sehwag and Sourav Ganguly scored a mammoth 2244 between themselves. Dravid remained the top run-getter with 619 runs, more than 125 runs ahead of the second best Laxman who totalled 494 runs. It was an in-form Sehwag opening the innings that also helped, his ability to score at a strike rate of 80 and at the other end, a gritty Aakash Chopra refusing to give his wicket to the frustrated Aussies.Ganguly set the trend with 144 in the first Test at Gabba, that caught the Australians off guard. In the last Test, Tendulkar came up with an unbeaten mammoth 241 in Sydney, a match that India should have won but eventually drew.Among the bowlers, Anil Kumble collected 24 wickets from four Tests. Among medium-pacers, it was Ajit Agarkar who snared 16. It was a time when Ganguly got to know more about the other bowlers who would serve him in the next couple of years — Irfan Pathan and Ashish Nehra. The two collected four wickets each while Zaheer claimed five. In 2007Opener Dinesh Kaarthick was the highest scorer in the series against England with 263 runs, followed by Ganguly and Tendulkar. Kaarthick and Jaffer have done exceptionally well since the tour of South Africa and Dravid should be looking forward to the two helping him do what Chopra and Sehwag achieved in Australia.While Sehwag’s return isn’t certain yet, India can draw immense hope from the way Mahendra Singh Dhoni provided solidity to the middle-order. The unbeaten 76 at Lord’s and the swashbuckling 92 at Trent Bridge showed both facets of Dhoni — that he could bat sensibly and let himself loose.Anil Kumble is in fine form, the way he’d been during the Australia tour. Kumble scalped 14 wickets against England while Zaheer Khan turned out to be the bowler of the series with 18 wickets. What Irfan Pathan and Ashish Nehra did for Ganguly in Australia, RP Singh (12 wickets) and S Sreesanth (9) can do for Dravid now.